If you want to have new users of your product getting a Trial License by themselves, you must Allow Trial for this product. Then you can follow this procedure to configure the default attributes and settings for the trial licenses auto-registered. 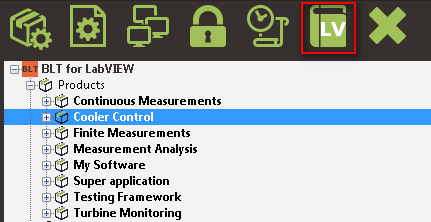 •Select in the tree the product for which you want to set the Trial License Settings,and click on Open LabVIEW Project. •Locate the Startup VI for your application. 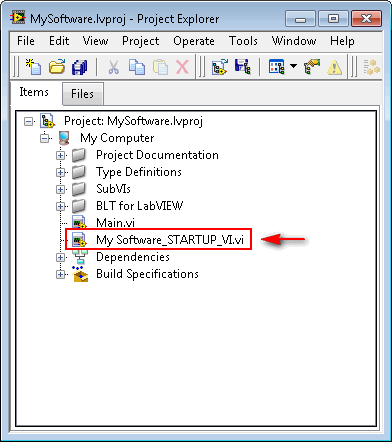 This VI must be named with the name of the product followed by "_STARTUP_VI"
•Open this VI and displays its Block Diagram. •Locate the Trial License settings cluster and adjust the license settings as you want. 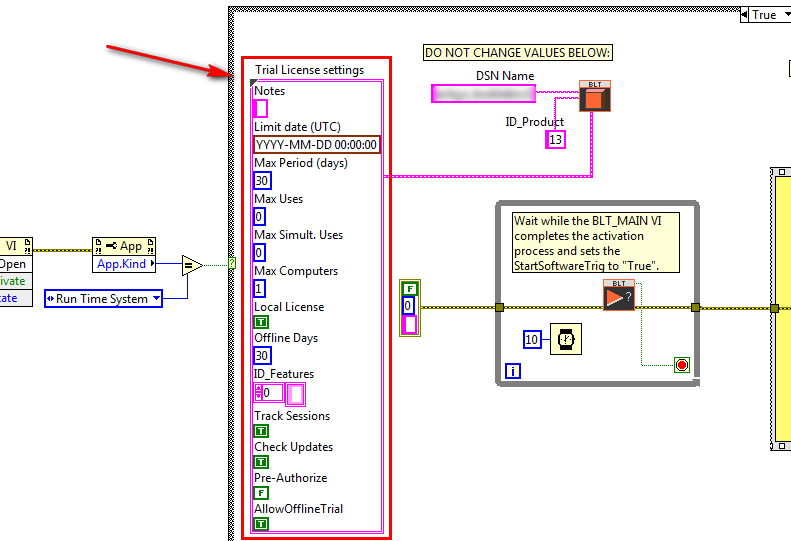 See the LabVIEW Context help for the cluster for more details. •Save and close your VI. You can Build and Distribute your product.